Tying her Frizzy Hair in a Bun. Spot her, help her. She might be slipping away. Tell her you have been in the same boat and ALL WILL BE WELL. Tell her to start believing her mother instincts and it’s time to enjoy her imperfections. Ask her to take time for herself, Mommy needs to be mothered once in a while. Hire a Nanny for a day, or take help from your spouse we all know motherhood can be very exhausting. Take a Break once in a while, soak your feet wet in a long bubble bath. Yah we know when the kid is asleep you have a whole load of work to be accomplished. You need to clean the house, do the laundry, keep the toys away, go to the loo blah blah blah…but the house is clean enough to raise a healthy kid. Somethings can wait but when your child is up you will have to be that Mom again. You running after them ALWAYS, will not help anyone. Stop getting paranoid, it is not your Fault. People will have opinions how you should raise YOUR kids. No one can stop them from keeping an opinion (well everybody is bound to have one). But yes, you can stop listening to every single one of them. Trust your Instincts. These are the few words which every Mom needs to be reminded in time again & again. They brought change to my life, I am sure can help others too. 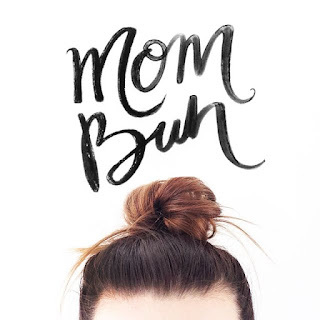 Next time you see a Mom with the Frizzy Bun, you know she needs your help to accept her Imperfections. We all moms need to stand and look out for each other.